As the last of the leaves are falling from the trees and Thanksgiving celebrations bear down on us, it occurs to me that this is the time when bad backs really start to rear their ugly heads. 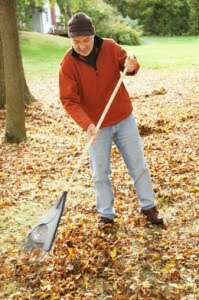 Maybe you are raking the leaves and bending to stuff them in bags. Pretty soon you’ll probably be worrying about shoveling snow which we all know can be a backbreaker. The fact is, this is the time of year when the chores we have to do around the house put a heavier strain on our backs and necks. Problems will come up. Back pain has so many causes but there is one fairly straightforward rule that can help prevent you from aggravating a finicky back. Chiropractors and doctors say it all the time, but remember to lift with your legs, not with your back. It’s easier said than done; frankly, it can be irritating to start, but if you want to keep from getting a sore back or a crick in your neck, this is the first step to doing so. Taking frequent breaks and remembering to stay hydrated are also important to not overdoing it. So what if things have gone too far and your back or neck are already hurting? That’s where Living Well Medical in NYC comes in. We take a multi-faceted approach to pain relief, relying primarily upon non-surgical methods. 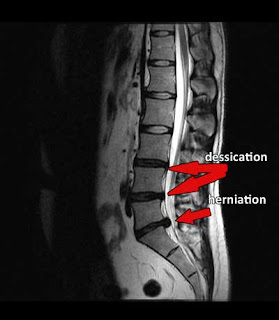 Treatments like spinal decompression therapy, physical therapy (to strengthen the lower back and neck) and chiropractic adjustment are only a few of the effective methods we use; Active Release Technique and the Graston Technique also are important for improving range of motion. In the worst cases, we also offer pain management injections like epidurals to stop pain. If you have a back problem thanks to the season’s work, not to worry - we can help. Call my office in the SoHo / NoHo area of NYC at (212) 645-8151 and ask what we can do for you. If nothing else, the bad back season doesn’t have to follow you around all winter long. Thanks for sharing this Dr. Shoshany. Before I was exposed to Chiropractic adjustments and how well they relieve lower back pain, I suffered during this time of year with all the necessary household chores. Then when I suffered long enough, I visited a good Chiropractor and my pain was relieved AND I experienced better health.